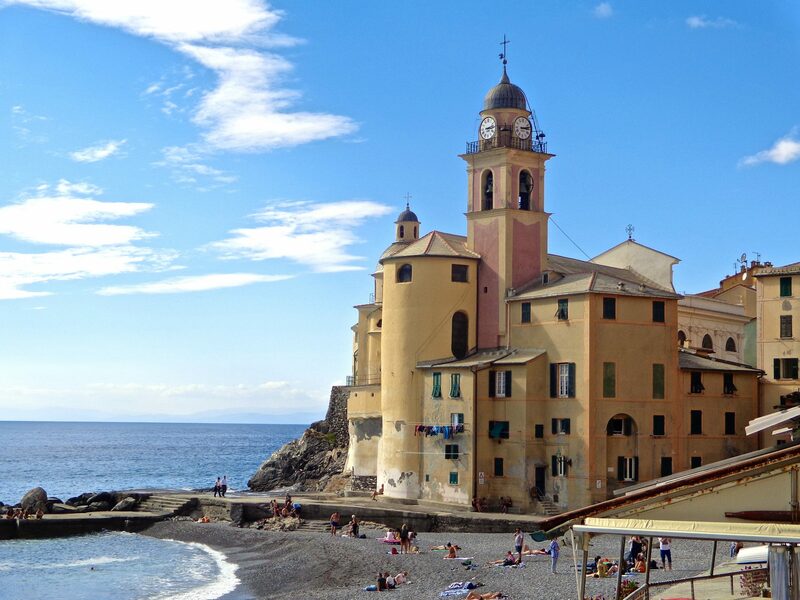 Who could guess that our beautiful day in Chiavari on the Italian Riviera would switch from lovely to thunder and lightning flashes all night long? The morning brought relentless sheets of rain bashing my umbrella as I tried to navigate this new land of puddles and wet shoes. With much sightseeing yet to do, I have decided to forge ahead in the torrents. So much to do, and such little time left. My home in NW Oregon has made me toughen up to wet, blustery weather, so this was nothing new to me. 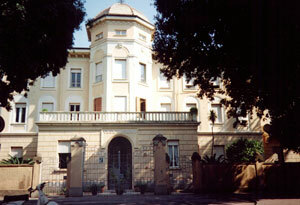 Casa Rosmini, my residence for three nights, is a beautiful convent with the most accommodating and loving Sisters. At the door, I was instantly greeted with cheery and welcoming smiles, taken up to my room, and shown where to park my car. It wasnt til after all of this that my passport was requested. Later that evening after returning from a beachfront dinner and relaxing walk along the waterfront, I returned to be greeted again at the door by one of the Sisters asking me if I had eaten dinner yet. After I patted my tummy and assured her I was well fed, she grinned and retreated into the shadows of her room. I love these ladies…..they bring sunshine on the worst of days. 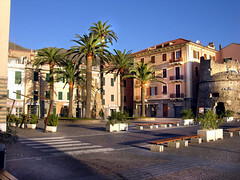 Today I venture out to explore some of the legendary towns of the Italian Riviera. Stay tuned as I share my discoveries….coming very soon! 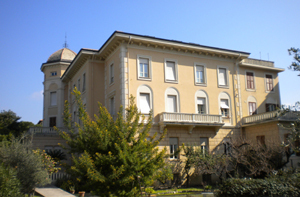 The following website provides great info on Casa Rosmini. I booked my lodging here through Monastery Stays. I like very much indeed, your work. I’ll be please to get likely ones, more and more.